The tournament was a great experience and a first for many of our NOVA HS students. Team spirit was at an all time high, leading certain team players to believe NOVA would easily win the tournament trophy. Riga’s weather conditions were quite less hospitable then Skopje’s and this dampened the performance of most of NOVA’s players. 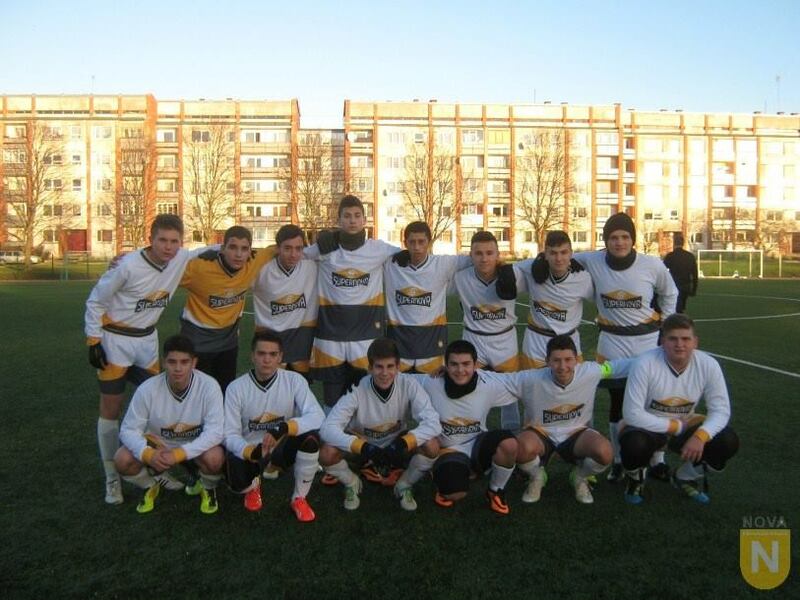 The first game was against the International School of Belgrade. A poor start with lots of errors lead to a score of 5 to 1 for ISB. After the game a considerable disappointment was seen in the team, but coaches were able to bring back the team spirit, which resulted in a positive outcome in the follow up game against the International School of Krakow. NOVA won 3:1. NOVA was able to open the second day of the tournament with a tie, with now tournament champions the International School of Latvia. Although NOVA held the lead for most of the game, it unfortunately conceded a goal in the last moments of the second half. The following game was a heavily contested affair, with the International School of Helsinki winning the game through a late minute penalty kick. Weather conditions only worsened for the last days of competitions. However, NOVA players were unhampered in their ambition to return home with a medal. They won their first game against Pechersk International School of Kiev (PSI) by 3:1 and qualified to play for the 3rd place spot. Boys were in excellent mental state after having won their first game, bringing a lot of positive energy on the pitch and dominating the game for long stretches of time. The game finished 2:0 and the NOVA team was able to return with the bronze medal. Besides winning a medal, three of our players were selected in the All Tournament Team for their exceptional play and energy given on the soccer pitch (Kristopher Blazevski, Stojan Pandov, and Alejandro Rafael Erazo Amaya). Throughout the tournament NOVA students were friendly and cordiall to all competiting teams, and by the end they were functioning as a homogenous professional soccer team. We look forward to next year’s tournament and a chance to showcase our growth in the course of this year.